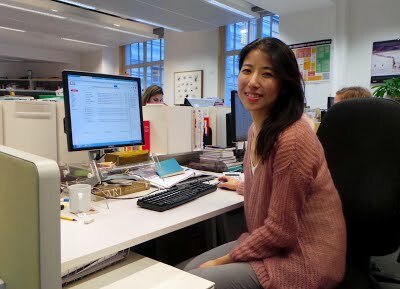 Meet some of the great people who work at DK, from marketing and production, to communications and design. Find out what a typical day at DK is like by reading the inside scoop in a variety of departments. Checking to see what exciting news stories we have received over night to post up on DK Notebook+ as I commute from the south-east coast into London. My role is split into two - on one side developing, building and promoting the DK brand and on the other, responsibility for all DK corporate communications, internally and externally. Every day is different - I love that no two days are ever the same. 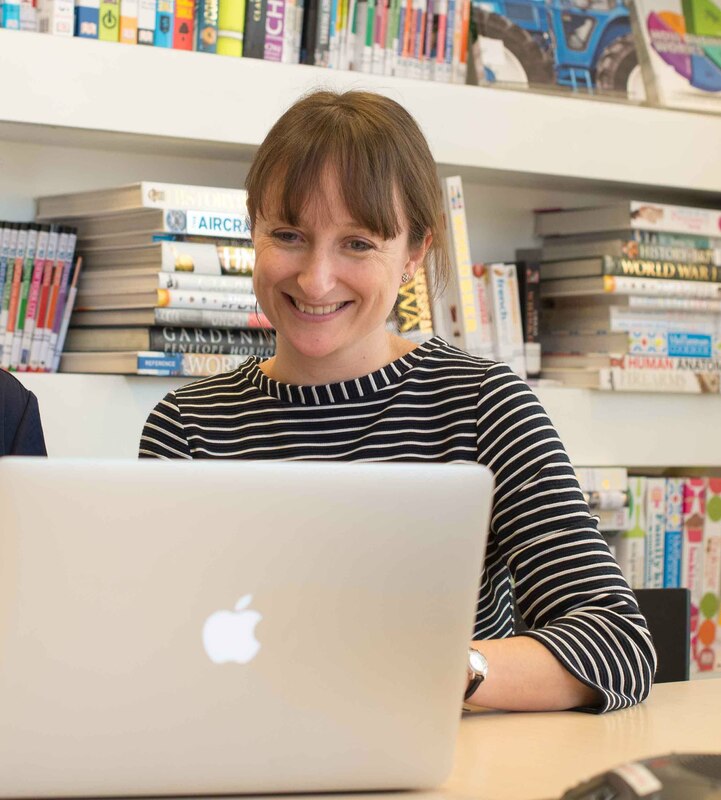 Responsibility for communications means I am involved in so many different aspects of the business, which gives me a fascinating insight into everything that is going on at DK. Corporate communications can be unpredictable, and you can’t always plan ahead, no matter how much you would like to. Too many to choose from! This spread from An Anthology of Intriguing Animals is a particular favourite, it is a unique and beautiful combination of illustrations and photographs. My life at DK started in the product archive department, 17 years ago, it was my very first job after graduating. The year end company presentation next week is a big moment in the calendar for Brand & Comms. It is a great way to showcase everyone's hard work from the year. Breakfast while listening to the BBC World Service, which in reality is breakfast with one hand and getting dressed with the other in my daily scramble to catch my train. The Strategic Languages team within IPL. In French, Italian, Portuguese and Korean, we select, translate and publish key titles directly under the DK brand instead of under a foreign publisher’s brand. This builds DK’s brand internationally, gives us more control over what is published and allows us to grow faster. Finding the perfect match between our books and a customer’s needs, be it in licensed co-editions, English language exports or special sales. The more complex the project and the more teams it involves, the more satisfying it is when we finally deliver it and make it a success. Telling a customer they can’t have a book because someone else got it or the numbers don’t work... this can lead to a fair amount of emotionally-charged exchanges! 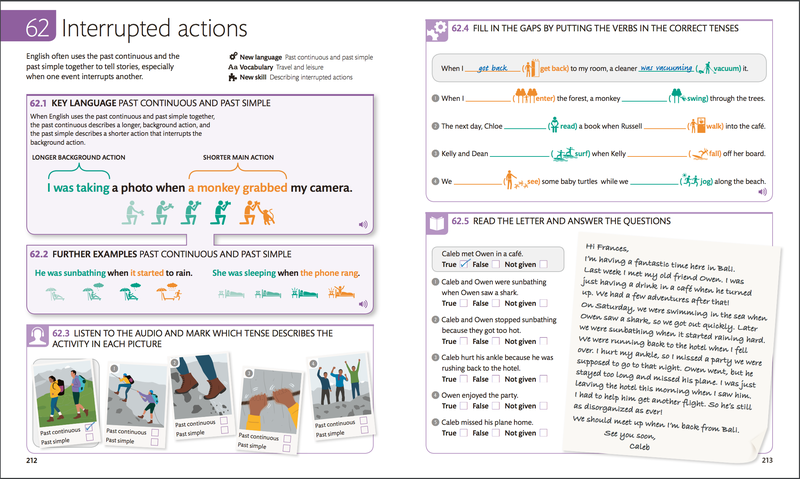 The explanation of the past continuous and the past simple in English for Everyone is my current favourite because it’s DK at its best: a complex concept explained simply with the perfect combination of text and images where every element has a reason to be there. I wish I had had these books when I was learning English! And I know I’m meant to choose just one but I also wanted to give a shout out to the DK Braille books... I love everything about them! Over 20 languages are spoken within IPL, including Greek, Swedish and Chinese. Making English for Everyone a big commercial success around the world! My working day starts at 5:47 am (yes, that 47min is important!) when my alarm goes off and I am at my desk by 8:20 am. I log in to my emails first to see if there have been any questions from the team working on the project in Delhi or other design matters within my team that I may have to deal with urgently. 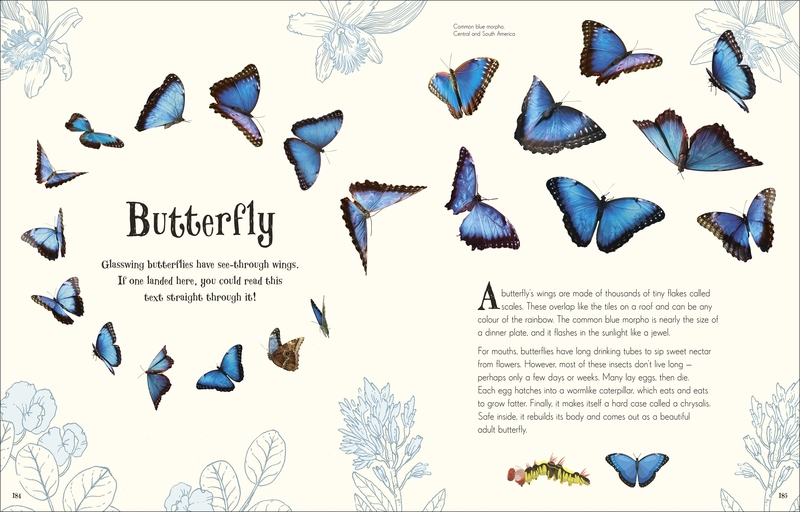 I then wait for InDesign to come alive and begin work on any layouts I am currently working on, taking in corrections or working on new spreads. The Tea Book was a new way of working. I handled developing the presentation of the live book. From making the template; creating some illustrations and briefing Delhi for others; the colour palette; planning and art directing the photo shoots and visualising all spreads alongside the editor, Kathy Woolley. We did all of this before handing over to the team in Delhi as a package for them to create the layouts. After that, I would assess and markup changes to spreads created by the Delhi team. Although planning for the photo shoots was a lot of hard work and quite frantic at times, once we had started they were the best bit of the project for me. 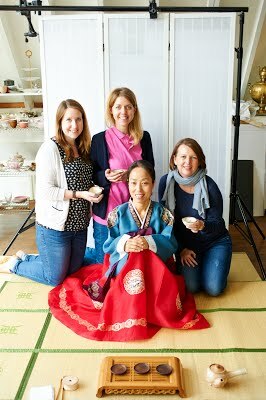 As well as recipes, step by steps and incidentals, we also shot three different tea ceremonies. Travelling to Cambridge with the photographer to watch and photograph an authentic Chanoyu (Japanese) tea ceremony at the Kaetsu Educational and Cultural Centre was a great experience. Making sure all the maps in the book were factually correct and met DK styling. 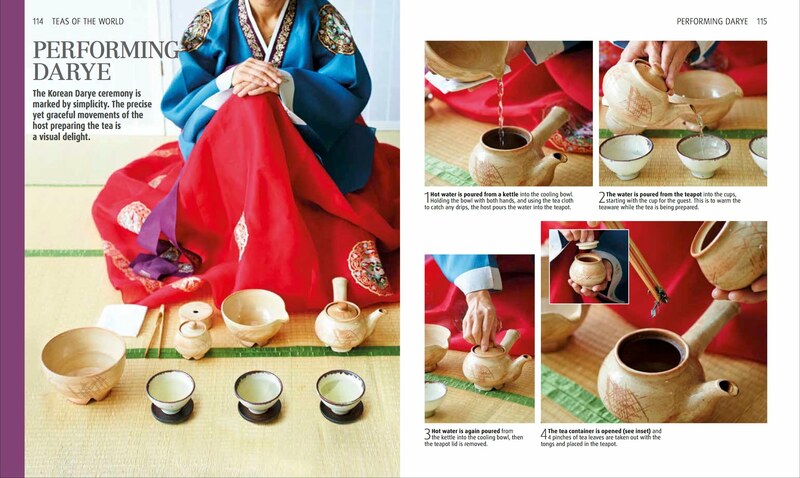 Page 114–115, which is the start of the Korean Darye ceremony. The performers attire was beautiful, as was the ceremony. It was extremely graceful and quite meditative to watch. We spent over £500 on different tea leaves for the photo shoot. The most expensive was £30 for 50g of a rare and highly valued yellow tea. I’ve gone from tea to the hard stuff… I’m currently working on a Craft Spirits title.